1. It doesn't stain. 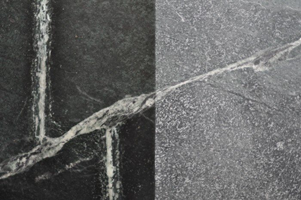 Soapstone is dense and nonporous; it does darken when liquid pools on its surface, but it lightens back up when the liquid evaporates or is cleaned off. 2. It can stand up to acidic materials. 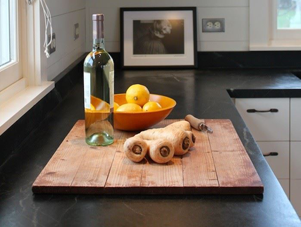 The fact that soapstone is chemically inert means it's not harmed by lemon juice or cleaners that must be avoided with other natural stone surfaces. 3. It's heat resistant. The density of soapstone makes it an amazing conductor of heat, which enables it to withstand very high heat with no damage. You can put hot pans right on the surface without worry about scorching or staining. Soapstone is soft and susceptibility to scratches and nicks. It’s durable like granite and marble, but it’s more forgiving under stress; soapstone has a tendency to dent rather than chip or crack. For more information, give Mara, our sales manager, a call!